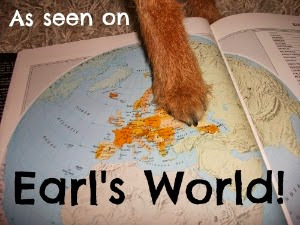 Now with all the best will in the world, although we have the best intentions to brush our dog every day, it doesn't happen. I do however recommend you brush your dog at least three times a week. This is equally important for short as well as long haired dogs, as it is good for skin health and removes dead hair. If you have a long haired dog, there is one important exception to this - your dog must be brushed every time it gets wet. If there are any knots or mats in your dogs fur, these will only tighten up as the hair dries. When you are brushing your dog, put it up on a surface. That can be everything from a grooming table, through to the top of the washing machine! This makes it less stressful on your posture, tends to stop your dog struggling and makes it a more positive and enjoyable experience for you both. Brush first with a wire slicker brush (as in the photo above), and then use a comb to finish with. Although slickers do a great job, they can be deceiving as they don't always reach the deeper parts of the coat. Using a comb will make sure any knots and mats are reached. Be careful of slicker burn - this can happen from repetitive slicker brushing (with the wire slickers) in one area, leading to inflammation and redness, and in worse cases it can become infected. If using a slicker brush and comb doesn't get rid of a big mat, these can be attacked by breaking them into smaller mats. There are tools called mat splitters on the market, alternatively if you use a slicker brush and work it in a flower / daisy pattern outwards from the centre of the mat, this can help to split up the mat into smaller and more manageable sections. Dematting spray can be very helpful in getting rid of mats. Spray it liberally on the mat, and massage it in with your fingers. Brush through with a slicker brush, and then work out the mat with a comb. Our favourite dematting spray we use in the grooming salon is a silicon based spray from Ladybel, called Demel'Ex (click here for a supplier). We haven't found anything to beat it! A big no-no is to try and cut out the mat yourself, unless you are experienced at grooming. We have seen many dogs in the grooming salon that have had chunks taken out of their skin, where their well-meaning owners have tried to cut out the mat. Mats can form so close to the skin and it can be very difficult to tell where the mat finishes and the skin starts. If you do have a severe mat that you can't shift, then seek a professional groomers advice and help. Always reward your dog during and after brushing, so they learn to associate being brushed with good things. Lastly, little and often is the best way. 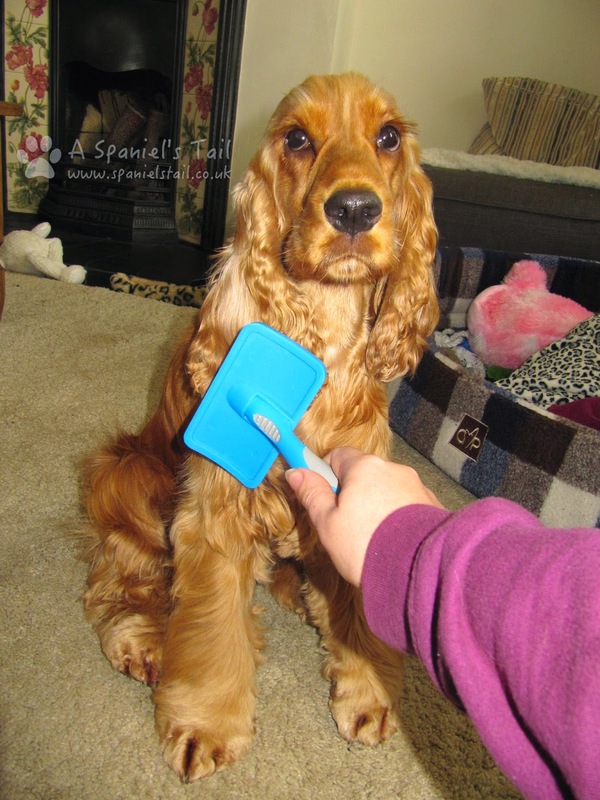 Brush your dog often and you won't have to spend so much time doing it. Equally, make your groomers life easier, and don't leave it six months between grooms! We hope you enjoyed the first post in our basics of grooming - the next one will be about how to bath your dog. I never thought of putting my dogs up on a washing machine to groom them. What a cool idea! Great tips, Lottie! We like the part about the rewards afterwards. We get combed out before our morning walkies and that's a real reward to us! Great tips! Mom is always brushing us and checking for hair balls. We actually really enjoy it! Great tips and yes rewards are the best part Lottie. Have a marvellous Monday. Mom wishes she had a shaver for those mats that are close to the skin, but she also knows I wouldn't let her shave them, so that is why every couple months, I visit the doggy spa. I dislike grooming and our biggest challenge is that I keep sitting down. Treats make the brushing more bearable. Great tips - Harley gets brushed every morning after our walk. We've been doing this for so long now, it's just part of the routine. By doing this, we've practically eliminated the mats from forming behind the ear - which is the worst. Thanks for the extra tips! We love our dematting spray. I try so hard to make sure I keep them well-brushed, but those mats behind the ears seem to pop up overnight! Yep, that's our biggest problem area too! Great tips! Had no clue about slicker burn, I usually don't use a slicker, just and undercoat rake and then a regular plastic bristle brush (not the hoarse hair type that are close together), my husband swears by the slicker though, I'll have to pass this on! Brilliant advice I will be bookmarking this so I can go back to it.